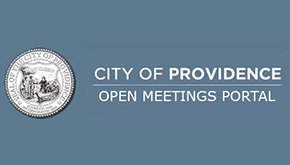 The City of Providence [on Wednesday] launched its Open Meetings Portal – a single, public access point for public meeting information. The site fulfills a recommendation of a special commission established to find ways the City can use technology to engage residents, and is the result of several months of collaboration between the City Clerk, City Council, and the administration of Mayor Angel Taveras. That’s all you need. This reminds me back in 2001 – the rest of the state used IMC and was tied to the AG’s office for fingerprint results. The only exception, Providence used an inferior system, did not adopt the standardized state charge codes, etc.